Looking for private in-home or in-studio Viola lessons? Our Brackenridge teachers are ready to get you started. Find your teacher today! Check out some of our most popular teachers near Brackenridge, PA including Pittsburgh, Murrysville, Wexford, Bethel Park and Coraopolis. "Experienced viola teacher of 30 years available for eager students of all experience levels and ages! I structure my lessons so students learn what they want to learn, while also building a strong foundation of classical guitar skills. I specialize in classical music . All level of viola study from beginner through professional. Elizabeth has taught violin and viola for twenty years. She has a Master of Music degree in Violin Performance from DePaul University School of Music. Her teachers have been among the best in the world. She has been a member of orchestras, chamber music ensembles, and has performed solos throughout the United States and abroad. Teaching is one of her greatest passions, and she welcomes the opportunity to work with all ages and levels of musical background. mentals. They will discover the joy of music! Ms B. is concise and shows an understanding of where my daughter is at in the process. Irene said she had fun and is looking forward to the next lesson. Thank you. Hi, I'm Benjamin! Thank you for viewing my profile page. I am a professional violinist and violist with a Bachelor's and Master's Degree in performance from the Manhattan School of Music. I am Suzuki Registered and State Certified in both New Jersey and New York to teach in public schools grades K- 12. I have over 20 years of experience in the music industry. Whether you're a beginner looking to explore something new or an advanced player looking to prepare for an audition, I am happy to help! An active teacher, as well as performer, Mr. Hellman has been teaching violin and viola since 2004. He has taught students of all ages and experience levels. He currently teaches violin at the Lindeblad School of Music in Pine Brook, New Jersey. Ben is such a nice guy patient with my son (15) he comes home proud of what he learned after each lesson!! Experienced string teacher of 8 years available for eager students of all experience levels and ages! I structure my lessons so students learn what they want to learn, while also building a strong foundation of music knowledge. I specialize in classical and Celtic, typically use Suzuki Method and Essential Elements books. I evolve with each student and create a fun a positive environment in which to learn and I strive to help you meet your goals! I plan and offer yearly professional student shows and concerts to give each student a practical application to their studies. Experienced viola teacher with over 25 years available for eager students of all experience levels and ages! I structure my lessons so students learn what they want to learn, while also building a strong foundation of viola playing skills and technique. I specialize in Traditional Classical string music, typically use Essential Elements 2000, Samuel Applebaum methods, Suzuki books, and traditional scales and etude books. I have the following tools available to use during lessons: metronome, tuner, rosin and my music library. Students can expect to learn the basics of holding and creating sound from a stringed instrument; parts of the viola; the string names; note reading; and to have a really great time learning! I think Lisa is a wonderful instructor who provides clear instruction and also knows pedagogy. She starts with a step-by-step approach to build a foundation. I am an older adult and her warmth and good sense of humor help, too. Students can expect a relaxed, fun, and encouraging atmosphere for learning. The viola can be an intimidating instrument- you will make a lot of unpleasant sounds before you start sounding great- and that's okay! I'll be there to guide you and help you reach your goals. If you're already an experience player, you can expect me "workshopping" your technique. We will analyze your form, practice patterns, and playing style, to ensure that you are growing and improving from the moment we begin. I will push you to become the most expressive player that you can become, but at a pace that feels comfortable for you. My classical training began at age 10, when I started to play the viola. From there, I was able to translate my musical skills to violin, guitar, piano, voice, composition, and songwriting. Originally a biology major at SUNY Purchase College, I quickly became restless knowing that I was unable to focus on music enough. So, I switched it up, followed my passion, and began studying music theory and production. Since then, my life has been focused on teaching, performing, writing, and recording music- and I wouldn't have it any other way! It's been quite a journey, and I can't wait to share all that I've learned along the way with you. Whether you are just starting out, or are looking to further the knowledge you already have, I will meet you at where you are, and help you to achieve your personal goals. n technique, theory, improvisation, ear-training, songwriting, and more! Great teacher of the violin! Always patient and supportive. Not going to make you feel bad if you mess up, but still encourages to push yourself further. I am a beginner and I was very nervous about taking guitar lessons at first. However, Miss Dayna made it so easy for me to learn by using relatable words to explain the techniques and concepts involved with playing guitar. Great teacher! I have been teaching violin for six years. Though I am classically trained, my interest in music goes far beyond classical music. I am constantly listening to various genres of music and consider myself a forever learner, loving everything in music from Prokofiev to the Flaming Lips. It is my job to help guide my students through their musical journeys, whether that is helping them get into their regional orchestra or teaching them that one song they've always wanted to learn. I teach out of the Essential Elements or Suzuki Method books. Though my lessons are fun and relaxed I will always give my students that extra push when needed. My goal is to help each student reach their personal success and to instill a love for playing music. Hello! I am a classically trained violinist and violist. I got my Bachelor's degree from the Hartt School of Music in Connecticut and I am currently working towards my Master's at the University of Maryland School of Music. I started playing violin when I was 10 and since then I have also learned viola, piano, guitar, ukulele, banjo, and mandolin. I have a successfully maintained a full studio of violin and viola students and can easily adjust my teaching style to meet each student's needs. 6-adult, abilities ranging from beginner to advanced players. Feel free to reach out and ask any questions, I would love to hear from you! Miss Phoebe is an excellent, patient instructor for my two young violinists! She is prompt, and has lots of tools in her tool kit to bring about proper posture, tone, sound. She exhibits a very warm kind discipline that makes clear her expectations without being mean about it at all. I think my kids have made significant progress under her tutelage and I would definitely recommend her for any skill level! I'm an adult learner who went through Suzuki book 2 and a few other pieces with Phoebe as my instructor. I spent a month prior with a "bad experience" and hadn't taken lessons in probably 10 years before that. Working with Phoebe was GREAT. She was very easy to work with and really saw to improving my skills. She was encouraging and very positive. When I had troubles with parts (which was often), she would always have multiple suggestions as to how to practice them to work through the difficulties. She also gave me nudges along when I didn't think I could do certain things too. All in all, I had a great experience working with Phoebe and would have loved to continue to work with her if she was still in my local area. If you're wondering why not 5 stars, that's more from my lack of experience than any issue with her. The guide says 5 stars is the "best teacher ever". She probably was the best teacher ever for me, but I'm somewhere between beginner and intermediate. Is she a good fit for an advanced student, I'm going to guess that, yes, she is, but I don't know that info personally so I went with 4. Congratulations on taking the next step to mastering your instrument and truly becoming an artist. Playing music has benefits for every aspect of life: creativity, technique, focus, and fun are encouraged as we learn how to become better musicians. I am currently accepting students in my UWS Studio, offering private lessons for all ages and abilities in viola and violin. I am a passionate arts advocate and teacher, and am here to help you bring your musical goals to life! I am a conservatory trained violist, with over a decade of teaching experience. My true love is classical chamber music, but I also have toured internationally with indie rock bands. I specialize in Dalcroze Eurhythmics, a method for teaching rhythmic movement as well as physical and instrumental improvisation. willing to put in the demanding work that is necessary to fine tune their artistry. Together we will decide on pieces and goals according to your technical abilities and musical interests. For younger students, parents will have a role in the success of their child’s music education. Performing opportunities will be available since it is my philosophy that music is a gift that should be shared. Can't find a teacher in Brackenridge, PA? "Miss Susanna is very nice and very patient- even when I'm being super ADHD! She also doesn't over or underestimate me, which I very much appreciate." perience behind her, continues to set realistic goals for her students, and for herself." "I've had 5 lessons with Susanna and I couldn't be happier. Patient and has good humor. Highly recommend." "Let's start at the very beginning...a very good place to start. Absolutely wonderful first lesson!!" "Susanna Sonnenberg is an awesome strings teacher!" wanting more. 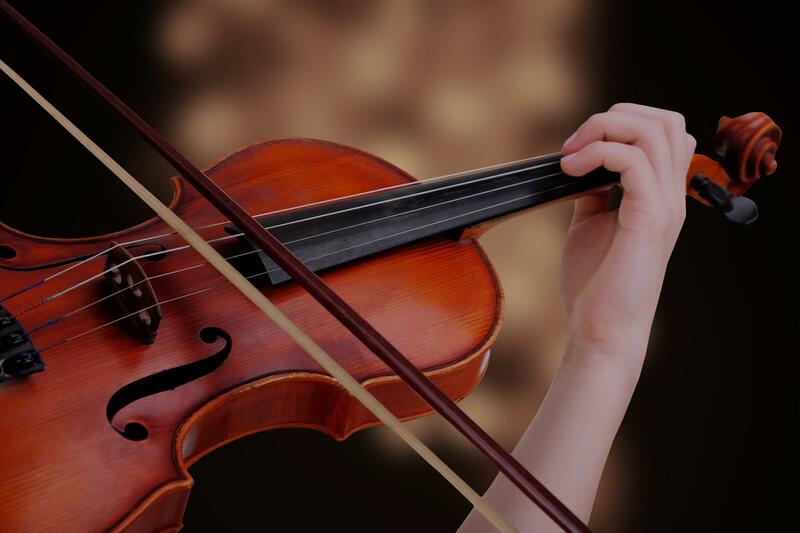 (Even though I'm a beginner and I don't sound amazing, I know I will get there with the guidance of Susanna)"
very helpful in my journey to purchase a violin ; )"
Pittsburgh, PA teacher: Lisa C. B.